In case if you didn’t know, the speed of your website is a ranking factor now in big G. If you have a fast website, it will help you rank better in search engines. Obviously, the other picture is true too and if you have a website that takes time to load, you will lose ranking. This is one risk to talk about and then there is another angle to look at it. If you have poor site speed, the traffic will not like it enough and that will increase bounce rate. Bounce rate is another ranking factor for Google so there’s that risk too. Anyway, we are not here to talk about risks. We are here to talk about how you can avoid those risks. You can simply do that by making your WordPress site faster. With the boom in the hosting industry, anyone and everyone now owns a hosting company. When you are choosing a hosting for your website, make sure that you are spending enough to get the perfect host. 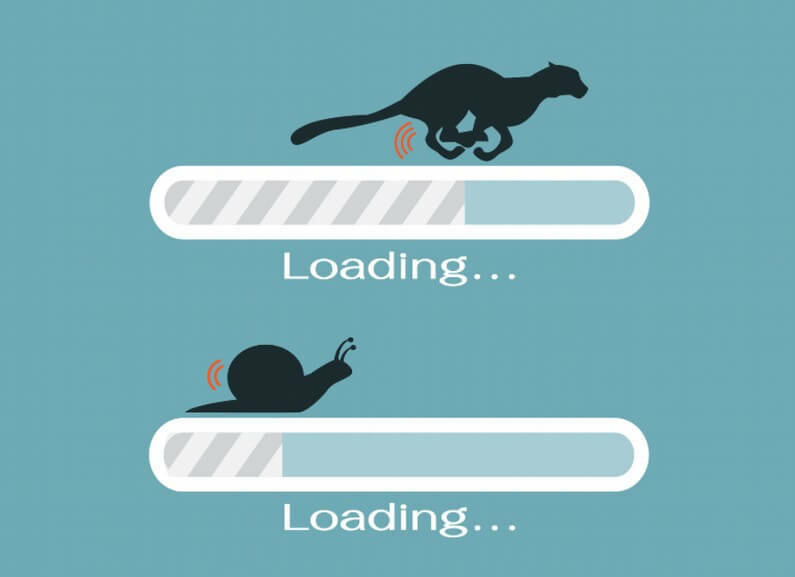 A poor hosting company will make your website load slower and if your website takes 3 or more seconds to load, the chances are high that you will lose traffic. Some themes are clumsy and some are so well maintained. Always keep your themes up to date and make sure that you are not using a pirated copy of a non-popular theme. Always test your theme using theme test plugins before you activate it and also, make sure that you are doing speed tests before and after activating your theme to make sure that things are going well. Caching plugins do an amazing thing for your website. These make sure that the returning visitor does not have to wait long to see the full page. The caching plugins store some of the cookies on to the browser of the user to make that happen. The best one is W3 Total Cache but you can also look for some other ones out there. Most people think that optimization is all about doing SEO to make sure that your website goes to the top of the relevant Google pages. Yes, there is that but it is a lot more than just pushing your website up. You have to make sure that the on page optimization is there to make your site load faster. A perfectly optimized page loads fast and decreases your bounce rate. Don’t forget to optimize the images. Image is a vital part as they take space and they make your site slow if they are not optimized properly. Don’t make that mistake. You do not have to load your whole website at once for the audience. Let it load slowly once your traffic reach to that parts of the website. Think about it. Is it really important to load the bottom image of your website when your traffic is reading the top paragraph? No it is not. The lazy load plugins make sure that the sections of a website are loaded separately. You can set images on lazy load and some people set comments on lazy load too which is another good idea. If you post regularly then you know that WordPress stores all the drafts of your article which you never publish in reality. These make a site heavy and you do not really need to keep those data. If you really want to store articles, create a folder on your personal computer and simply save them as doc files. WordPress draft is not the place to store your work. WordPress in general does stuffs that you do not ask for. For example, it will always ping your articles and will also interact with other websites which have pings. Especially if you have plugins such as Yoast SEO then this is a regular occurrence. Yoast SEO does a lot of things that you didn’t ask for. For example, it will automatically index your posts even if you do not ask Google to index your website. If you do not want these auto pingbacks and tracks, make sure that you change your settings immediately after making your site live. This is another important thing that you should keep in mind. Just because you installed WordPress and have access to all the plugins of the world, you should not install anything and everything. Try to keep things simple and minimum. There are lots of plugins around which are interesting and you will at times be tempted to go for those. Well, the suggestion here is that you should not! Only install the ones that you think will add value to your website. Finally, it is important that you do check your website once in a while for unusual activities. Track your traffic and make sure that you have Google Webmaster and Analytics setup. If you have Webmasters, Google will tell you every important update on your email which is brilliant. Even then, do your manual analysis every week. Try to understand why bounce rates are increasing and which pages are causing so. Try to interlink your posts so that people do not cross your website’s tab. Continue doing these and you will have a fast WordPress website all the time.